I mentioned earlier that we like watching You Live in What? 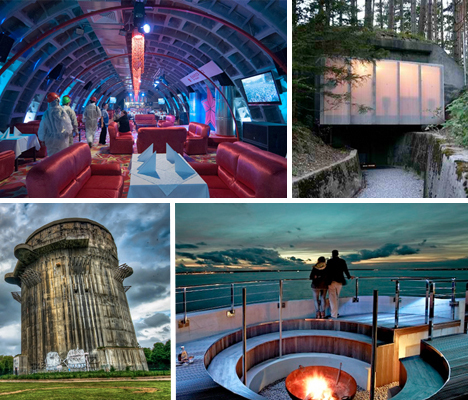 There are several episodes that showcase refurbed military facilities – from a missle silo in Kansas, to World War II era military buildings in Germany. To kick things off with the “Restoration” series, what better way to start than with military facilities that have been transformed (and yes, I borrowed 99% of my title from theirs). 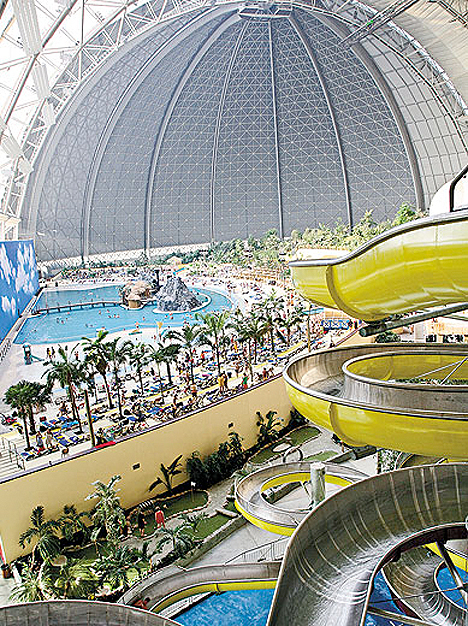 Of the ones mentioned, the ones that look the most interesting are the Hangar to Waterpark in Germany… something I might want to consider visiting if we ever spend a significant amount of time near Berlin. And then there are the various locations converted to residential units and hotels… Most of the locations listed in the article are in Europe, but there’s a Civil War fort near Boston that might need to be visited if I’m up that way during the summer. This entry was posted on August 1, 2013, 17:00 and is filed under Repurposing. You can follow any responses to this entry through RSS 2.0. Both comments and pings are currently closed.